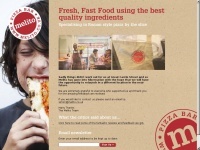 Vegan and Vegetarian Pizza takeaway, based in Manchester. 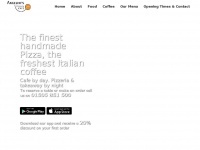 Zad's Guilt-free Takeaway serves high quality, delicious and fresh pizza and takeaway food. 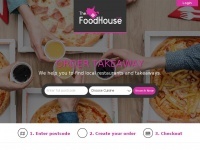 coventry-takeaways.co.uk - Home - Coventry takeaways and local food delivery. 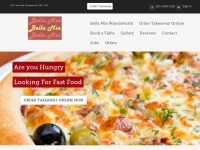 Takeaway Food Locally in Coventry with reviews guides and special offers on Indian takeaway Chinese takeaways and Pizza delivery. 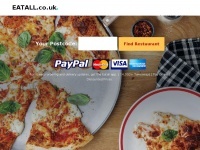 melito.co.uk - Melito, London W1 - Eat in or Takeaway Pizza by the slice, pizza al taglio london, pastas, salads, puddings, p ..
eat-home.co.uk - Best online takeaways in London. 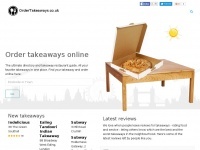 Chinese, Indian, Thai, Japanese, Mexican, Italian pizza takeaways to order ta ..
Online takeaways in London. The best food takeaway restaurants in Londons listed in Eat Home. 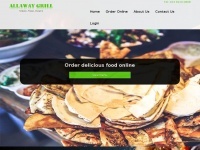 All takeaway cuisines available to order food online including Indian, Chinese, Japanese, Lebanese, British, Italian, Mexican, American and more. Eat home with ..
We are the printing supplier of choice for a number of local businesses. High quality design and printing services from our Doncaster office. no.1 for mightily topped pizzas! 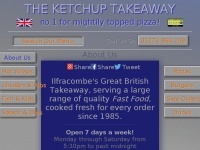 Ilfracombe's Great British Takeaway, serving a large range of quality food, cooked fresh for every order since 1985. 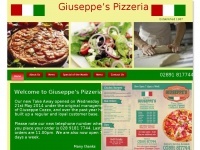 Authentic Pizzeria/Takeaway & restaurant serving delicious handmade pizza, pasta dishes and the best Italian coffee. 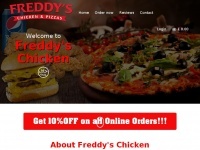 Free takeaway deliveries to Bishopton, Erskine, Langbank & Inchinnan on orders over £15. Open from 12pm onwards. Open 7 days. 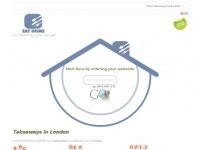 Easy ..
pitstoppizza.co.uk - Pitstop Pizza ONLINE MENU - ORDER ONLINE. CHARMINSTER. 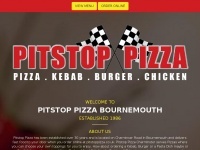 BOURNEMOUTH Pistop Pizza Charminster, Kebabs, Fried Chi ..
ORDER ONLINE HERE the official website of Pitstop Pizza Takeaway Charminster Bournemouth offers pizza, kebabs , burgers, wraps, for collection or delivery within a 4 mile radius of the shop located on Charminster Rd Bournemouth BH8. 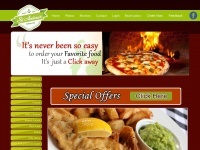 delivering to Winto, ..
Order Pizza, Burger, Kebabs & Online Order Food Takeaways In Blackburn, Lancashire. 30 min Delivery At Your Doorstep. royalpier.co.uk - A one-stop destination for food, drinks, and family fun.